The Chamber’s monthly Community Breakfast offers both current and future Chamber members the opportunity to kick start their morning with networking, a delicious catered breakfast, meeting new members, and staying informed. It is $15 for Chamber Members and $20 for Non-Chamber Members. Everyone is encouraged to register online in advance, even if pre-paid for the year, in order to minimize the waste of food. Please register before Wednesday, August 2. The Chamber Membership Breakfast was held Tuesday, December 13th, 2016. Attendees arrived to a delicious breakfast catered by Bojangles and networked with over 100 people in attendance before beginning the program. Amberle Godfrey’s Welcome and the Invocation was followed by our new member welcome by Chamber Ambassador Matt Youngblood of WYYZ – 1490 AM, which included: C. Shelly Repair LLC, PLB Kitchen and Bath Inc., Advance Electrical Services, and Clean Slate Services Inc. We encourage the community to reach out to these new members and learn about the services they offer. In addition, December’s Small Business of the Month, a program sponsored by Community Bank of Pickens County, was awarded to Country Kids. The 5 and 10 year members were recognized, and Gerry Nechvatal, the Executive and Economic Development Director, also provided updates regarding the Chamber of Commerce. the Technical College System of Georgia. After the sponsor remarks and speaker, the program was concluded by giving away door prizes donated by: Chattahoochee Tech, Carriage House, Tate Medical Associates, Ellijay Telephone Co., R & R Trikes & Outdoors, Pampered Chef – Donna McDonald, and Community Bank of Pickens County. 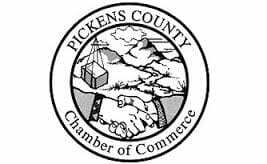 The Pickens County Chamber of Commerce hosts a monthly breakfast with the next scheduled breakfast on Tuesday, January 10th. This is a great opportunity for members to network and make great business connections. 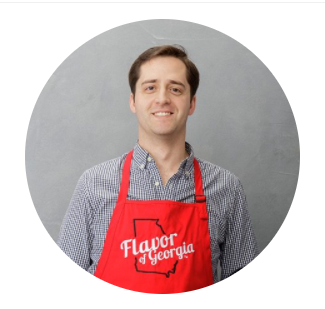 For more information about the breakfast or any other events hosted by the Chamber, please call 706-692-5600.